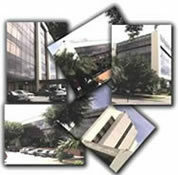 Reside in the capital of Costa Rica – San Jose. yourname@instantmaildrop.com that can be accessed via the web or SMTP and POP3. No need to use your private or company emails! When we receive new mail for you, we immediately send you (free of charge) a notification email including the sender information. We will sort, bundle and pack your mail received and securely forward on to you. Be it to your home, your executive offices or another mail address of your choice. This can be daily, weekly or monthly – the choice is yours. You can choose between regular mail (Correo de Costa Rica) and leading national and international courier services like FedEx, UPS and DHL. We charge $10 per group forwarded plus postage/shipping cost. A deposit is required to cover for postage (snail mail or courier). Uncollected mails will be disposed after 90 days. Within 1 hour after receiving your funds, your Maildrop and Virtual Office Service account is fully operational! Even the smallest of business can become global in today’s economy. Every entrepreneur must expect to operate globally soon after they set up their business; for the worldwide web has made it possible for goods and services to be marketed as well as bought and sold anywhere in the world. Indeed, in this global economy a small or medium sized business has to behave as though it were a large business. If you are an entrepreneur running a start-up and you need this capability, an anonymous maildrop service may just be the thing for you. Staying in touch with suppliers, distributors, and the other segments of your value chain is crucial if you are to remain competitive in the regional market or in a hub in which a number of global companies operate. A mail drop service can provide you with a number of things that help you meet such needs. 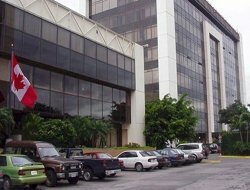 Costa Rica has become a popular hub for many offshore companies. Not only does the country’s central location make it a good access point for the region it also has a very business friendly environment. Using a Maildrop Rentals Service Costa Rica is good for a number of reasons. First, a maildrop service can secure a well-known address for your correspondence to be delivered to. This can be an important factor in making your business look the part, giving your partners confidence in your company and its operations. A maildrop service Costa Rica also includes a dedicated phone and fax number, with an automated personal welcome message as well as call-answering and call-forwarding services. Email accounts can also be set up, so you don’t need to use your private email if you don’t want to. The way typical maildrops work is the company sends you an email notification when they have received new mail for you. The mail is then sorted, bundled, and forwarded to you. And you get to choose where the mail sent to and how often it is to be sent. You can have it forwarded to your home or executive offices and choose a daily, weekly, or monthly mailing cycle. A maildrop rental service enables handle communication and correspondence on a scale compatible with that of a large company. It is one of the services that allow smaller businesses to engage in tasks and operations that twenty years ago could have only been done by large multinational corporations. Not only can you be more productive and penetrate new markets but you can also form new partnerships and new alliances with other companies much more easily. Once you’ve spotted an opportunity you can make contact immediately and get a response just as quickly. And a maildrop service allows you to combine email with regular mail and parcel to maximize your communicative capacity. Finding a mailbox rental service in Costa Rica is easy enough. The place to begin is the worldwide web. The web enables you to search and select the maildrop service you think most suitable for your business needs.